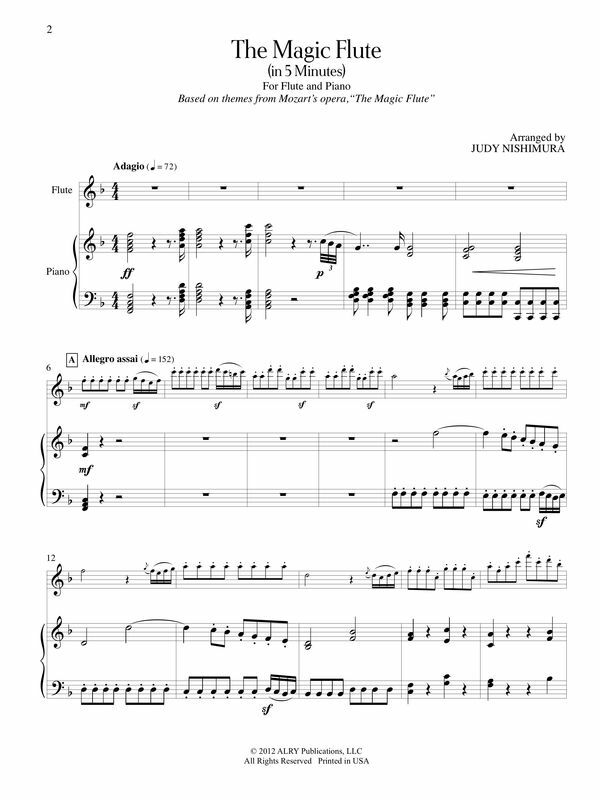 Based on themes from Mozart's opera "The Magic Flute"
I was called upon to write something for a concert whose theme was all about magic, so naturally Mozart's "The Magic Flute" had to be represented. Instead of arranging just the overture or creating a medley of famous arias, I wanted this piece to stand on its own as an organic whole. The concept has proven to be quite popular because this is the piece that started the long-running "5-Minute" series!